Leaders like to talk to other leaders. When leaders connect, share best practices and shed light how their operations work behind the scenes, they gain tried-and-true insights and practical information they can take home to their businesses. Leaders improve by learning from the mistakes, and successes, of their peers. Whether you’re running a business, or working as a manager—perhaps overseeing the landscape of a commercial or retail property—the opportunity to learn from successful operators is invaluable. 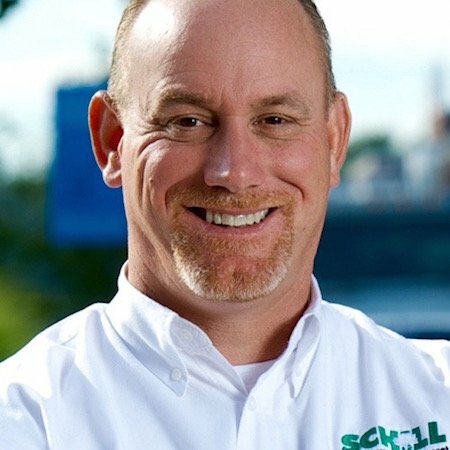 At Schill, we believe great leaders have a responsibility to share what they know to make the industry better, and to give other leaders and managers the tools to do their work more successfully. That’s why we participate in events that give leaders a platform to connect, share, learn and grow together. Specifically,we played host to a Face-To-Face event on September 30 facilitated by green industry consulting group J.P. Horizons. It offered a unique opportunity for event participants to take a look behind the scenes of our Northeast Ohio landscape and snow removal service operations. We value transparency: We believe in offering our clients and industry peers the inside story, because that way we all learn and get better. 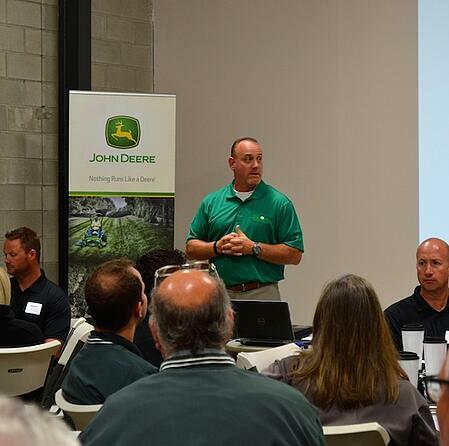 An event like the one we hosted on September 30 at our North Ridgeville, Ohio, headquarters, gives business leaders who participate a chance to gather with smart companies in their industry. The shared goal is to improve our businesses. The beauty of holding an event like this at your headquarters is that you can show, rather than simply talk about, the systems that work for your business. Meanwhile, during peer discussions throughout the day, real challenges are discussed and practical solutions are suggested—systems that can be put in place. It’s so easy to leave meetings inspired and then arrive back at your business, only to get sucked in by a mess of daily details and fires to put out. Departing an event with a plan and deadline for implementation builds accountability so attendees actually put the knowledge they take away from the experience into action. We don’t hide our best practices or the systems that have resulted in our success. We work very hard to be innovators in the landscaping industry, and we are constantly testing products and solutions that are more sustainable, effective, efficient and smart for our commercial and retail property owner customers in Northeast Ohio. Also, we are proud to be one of the region’s leading landscaping and snow removal service firms, pioneering our commitment to sustainability. Because we are setting the bar high for sustainability and quality commercial landscape maintenance services, we feel we have a responsibility to help other businesses in our industry improve so they can do better for their customers. Everyone in our industry wins (as do our customers) when we work smarter, offer sustainable solutions and provide services that add value to the properties in our communities. Face-To-Face events like this are a platform for creating strong business relationships with industry peers. We spend a full day together talking about our businesses: the good, bad and ugly. We bat around ideas for way to solve our problems. We discuss what solutions could actually work. We share war stories, too—lessons learned. By the end of the day, we grow a stronger rapport with other leaders and connections we can actually call on after the meeting to continue the dialogue. 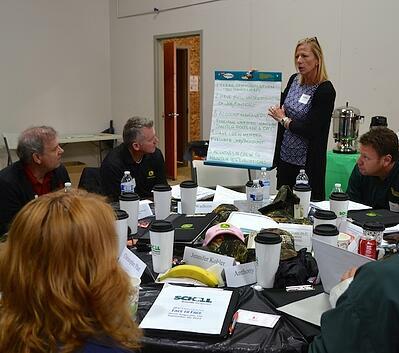 We hope you’re inspired to connect with another leader in your industry, whether you’re a landscaping firm, a property manager or a business owner running any type of service or professional firm. Every owner needs a sounding board, and there’s nothing more valuable than learning from other successful leaders who have been there, done that. What do you want to know about how we run our operation? Can we tell you more about our pioneering role and commitment to sustainability? Do you want to learn about how our innovative practices will help our company (and customers) cope with the rising price of salt? Interested in a facility tour? 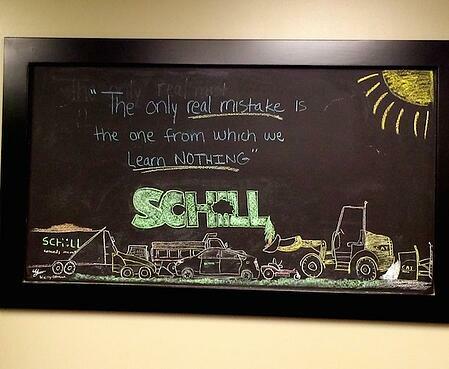 We’d love to show you around and talk about what makes our commercial landscaping and snow removal firm tick. Just call us at 440-327-3030, or fill out this simple contact form and we’ll get in touch with you.